UNLIKE the pacing division, there were no surprises in tonight’s Trotters’ Inter Dominion heats at Tabcorp Park Melton. Three pacing qualifiers were conducted with Cruz Bromac the only favourite to score. The other heats went to Cruz Bromac’s stablemate, Spankem, at $12.10 and Western Australian contender Galactic Star, which paid $10 on the tote. As for the trotters, Tornado Valley and Speeding Spur reminded everyone why they are the two top ranked entrants in the rejuvenated series be completing easy victories. Caught three-wide early before working to the lead, local hope Tornado Valley was kept rolling along by Kate Gath before accounting for Save Our Pennys and Tough Monarch. Trained by Gath’s husband, Andy, son of Skyvalley maintained his perfect record from four starts this season when he rated 1:57 over 2240 metres. 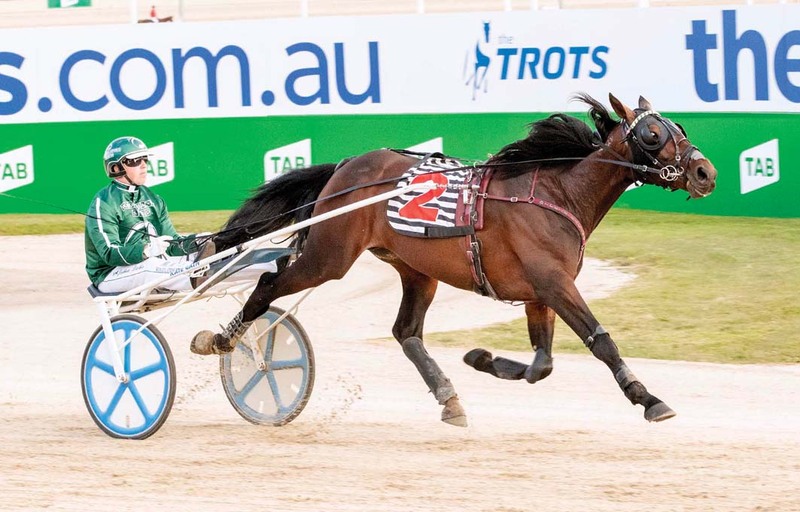 Tornado Valley’s time was 1.7 seconds quicker than New Zealand raider, Speeding Spur, which led throughout for driver Josh Dickie, who co-trains the stallion with his father, John. Always in command, the son of Pegasus Spur cruised to a seven-metre win from Maori Law, with Rompers Monarchy five-and-a-half metres away third. Macho to prove he’s the man!